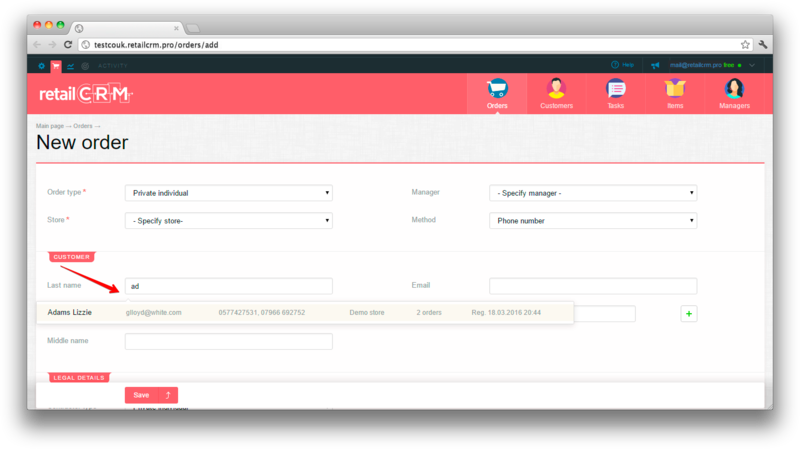 Also new order can be created after the call or during a conversation with the customer. 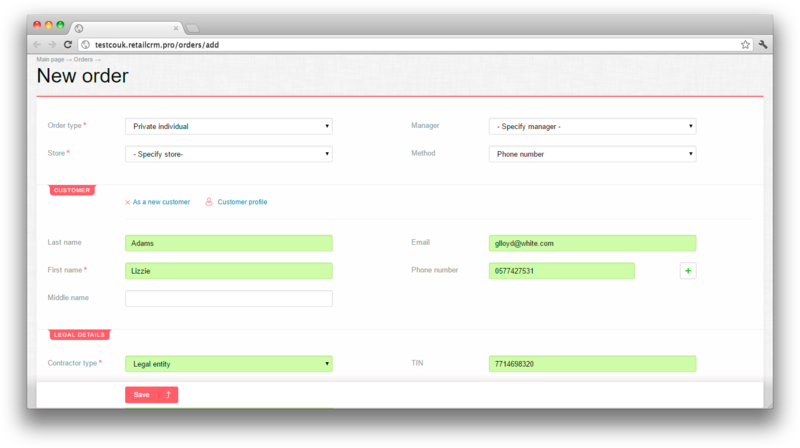 If customer calls from an unknown number, the order can be created directly from the pop-up window. In this case when the order is created, it will immediately be filled with the caller's number. If calling customer already exists in the system, you can click on the name and get to the customer card from where you can create a new order. Thereby the new order will contain all the information from the customer card. Country - is being selected from active ones in settings. 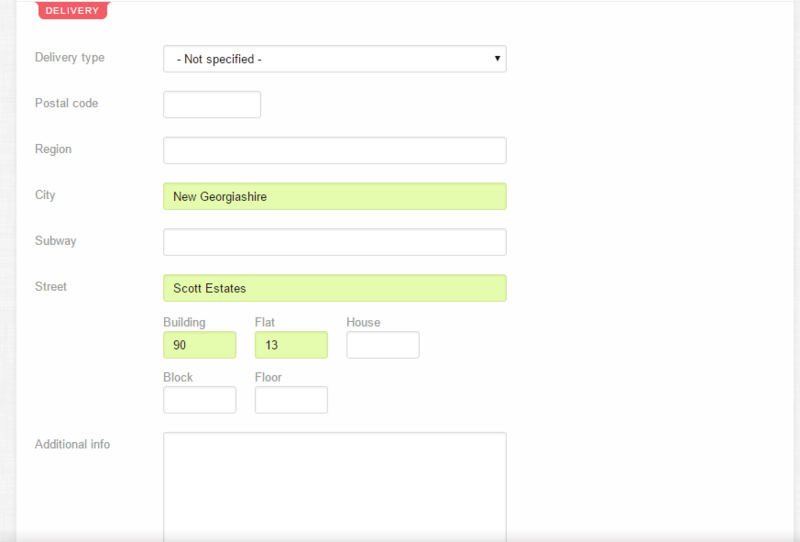 Order type - is being selected in drop-down list and specified in appropriate data book. Manager - which the order will be assigned to and which can process the orders. Store - which the order is related to. Method - is being selected in drop-down list and specified in appropriate data book. Fields marked with stars are necessary to fill. You are offered to input customer full name, email and telephone number. Hints are shown when typing first letters if the customer already exists in database. After you’ve chosen a customer, order section will have information about him. If you found new customer with juridical information, then all the data on juridical and bank information would be filled in new order. 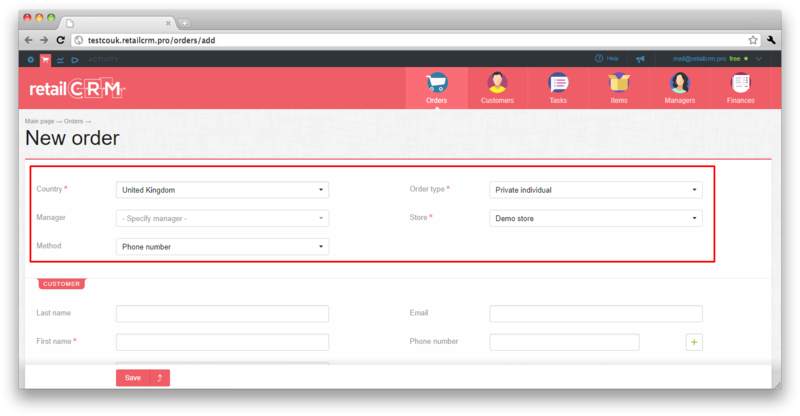 If customer makes order first time, his profile (customer card) is automatically created. You can find more detailed information about work with customers in «Customer info fetching» section. You can form order content pressing “Add an article” button. A form of choosing articles from database will appear. The list of items offered will appear after setting up filter (“Store, “Group”, “Name”, “Activity”) and pressing “Search” button. In order to add articles to order it’s enough to press the line with an article. “In order” mark in italics will appear next to the article name. Second pressing will remove article from order. To browse the article in system press icon in the end of article line. A page with article card will open in the system (not in eShop). To browse the article on the website press icon. After adding article order content area will display a table with chosen article having the following columns: “Product”, “Warehouse”, “Price”, “Discount”, “Quantity” and “Cost”. Product contains link to the item consisting of item name and atricle. Discount can be applied as to the whole order, as well as to separate items, to fixed sum or to price percent. When changing number of items in order, cost an total sum calculation is made instatntly without page refreshing. Below the item cost there is a recycling bin icon which allows you to delete the item from order. Pay attention, that order discount is not considered at order total sum, but is being divided between items and is being considered at sum of separate item. You can find more details on working with discounts and rounding in appropriate article. extended - this variant has many fields for address description: postal index, region, city, street, building, flat, house, floor and some more fields for aditional info. 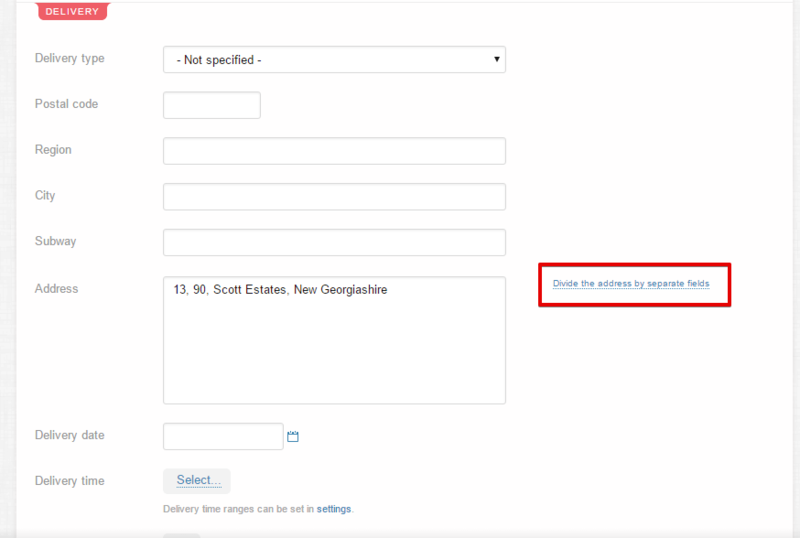 In order to switch to extended delivery content variant you need to fill address field value - then a link to adress partitioning will appear. It can be useful if integration with different delivery systems is planned. 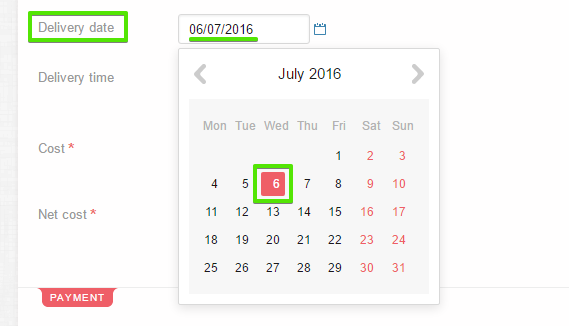 Delivery date and time can be added in any field content variant. Delivery cost is calculated automatically considering delivery tariff settings. 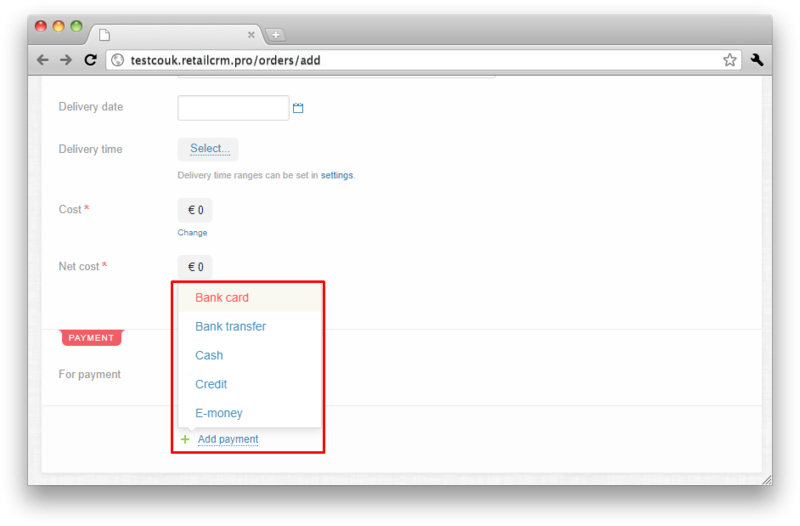 More about it is in «Databooks: order, delivery and payment types». 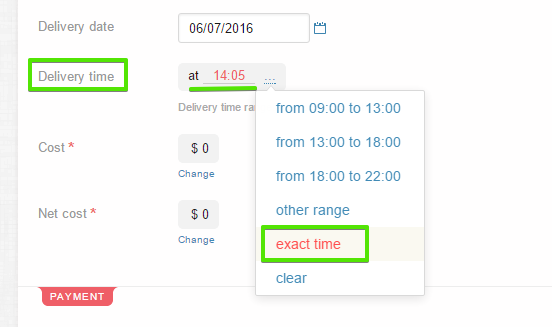 You can set everything, be it exact time, range or random value, in Administration > Settings > Orders section in delivery time settings. Payment block contains information on sum to pay and possibility to add payment type. If there are several payment types marked with "Cash on delivery" for selected delivery type, you can use only one of these payment types. 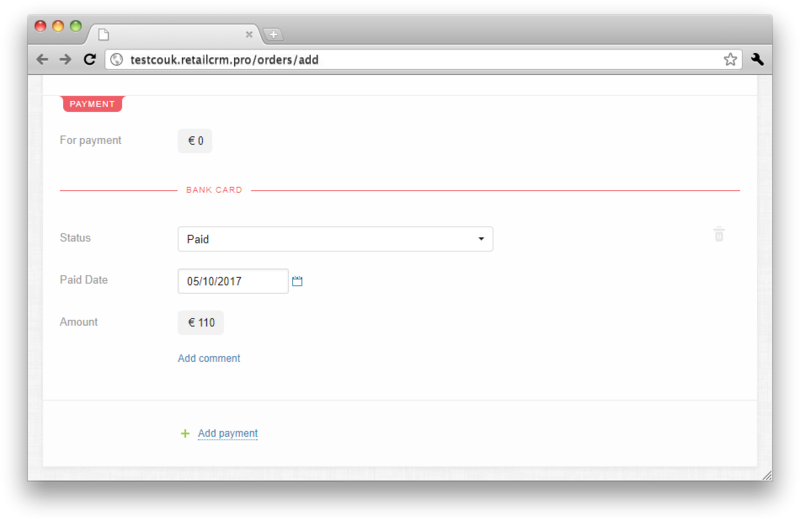 You can edit payment types and statuses in Administration > Data books. Read more about it in «Data books: types of orders, delivery and payment» article. 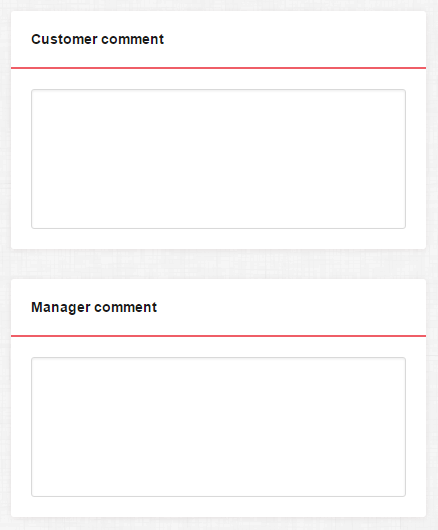 Order page offers fields for customer and manager comments. It is useful when you want to recollect the conversation with customer after time passed and to guess his wish at next contact. Or if you need to pass information. For example in case if phone call was made by one person and order is processed by another one. 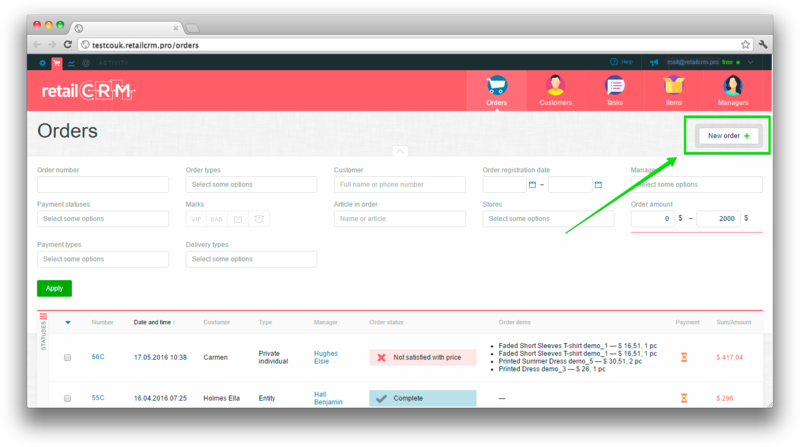 After clicking "Save" button the order will be displayed in "Orders" section. It can be edited in future. it is also possible to save and immediately quit from the order using button "Save and quit"
fields marked with asterisks should be filled in.